Many music lovers prefer the sound of vinyl records over the digital versions of music today. The problem is that listening to vinyl records takes specialized equipment and when you play it there is always a chance for damage. 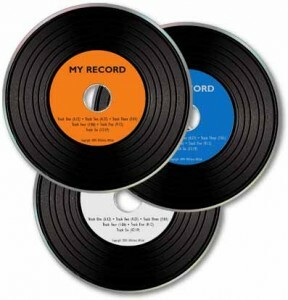 Bring in your vinyl records and let us make a copy of it that you can listen to in the car, on your MP3 player or other places that you don’t have a turntable. We digitize the sound of the vinyl exactly as it sounds through the speakers. So you can enjoy the fuller sound of vinyl with the convenience of digital files. This also lets you preserve your vinyl records so that you can play the originals less often, thus preventing wear and tear. Includes 33, 45 and 78 record speeds. Copyrighted records - one copy only.